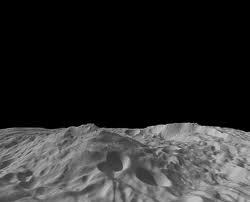 Among the significant early science discoveries the Dawn mission team has revealed is the discovery of one of the largest mountains in our solar system in the southern hemisphere of the giant asteroid Vesta. Team members presented findings at the recent annual meeting of the Geological Society of America in Minneapolis, MN, and the joint meeting of the European Planetary Science Congress and the Division for Planetary Sciences of the American Astronomical Society in Nantes, France. The Dawn spacecraft has been orbiting Vesta since mid-July. Team members presented findings at the annual meeting of the Geological Society of America (GSA) in Minneapolis, MN, and the joint meeting of the European Planetary Science Congress and the Division of Planetary Sciences in Nantes, France."